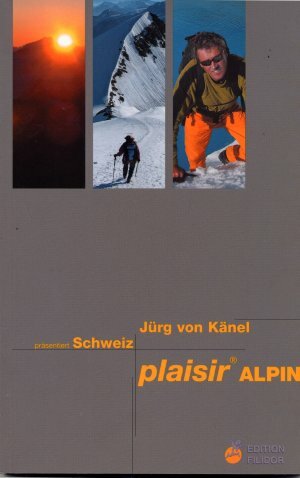 This is the 2008 edition from Swiss publisher Filidor, covering all aspects of mountaineering in the Swiss Alps. 60 Alpine tours are described, including drawn, colour topos. German, French and English languages. The tours are relatively easy with climbing grades around 3b - 4a. Filidor grade the routes from 1 to 3.